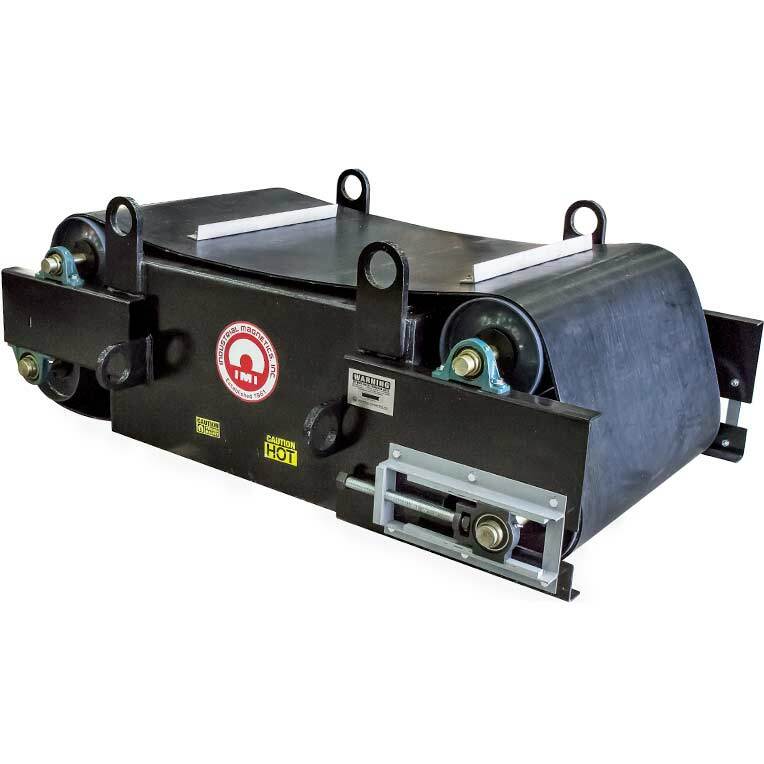 Our SEMO magnets (Suspended ElectroMagnet Overhead) are cross belt separator electromagnets designed for separation of ferrous metal from a variety of over-the-belt or cross belt conveyor applications. 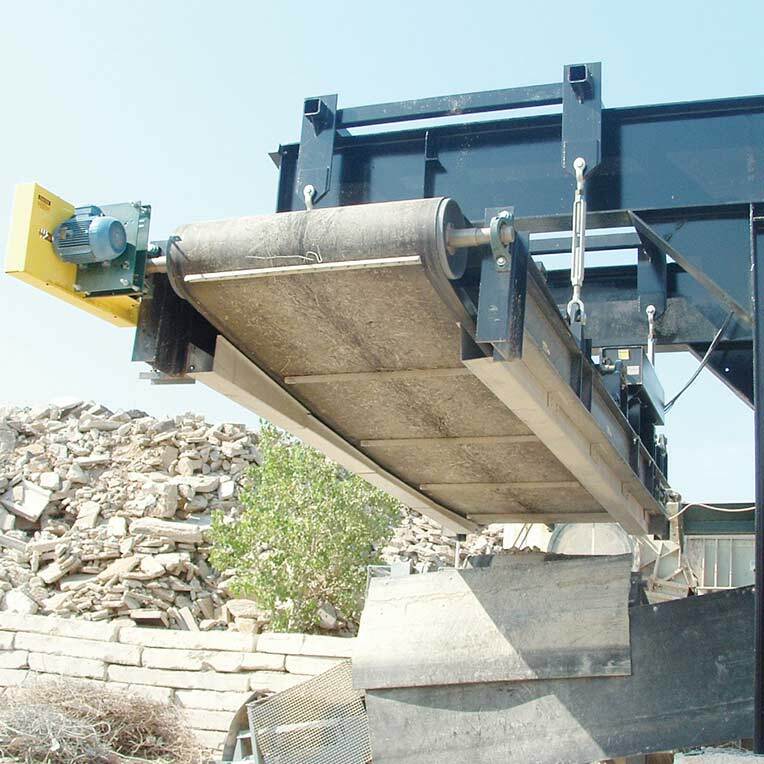 Proven in industries such as Mining, Aggregate, Recycling, Tire Shredding, Foundry, Wood Chip, Pulp & Paper, Power Generation, Construction and Demolition. These electromagnets are design to deliver peak ferrous metal separation and capture performance. 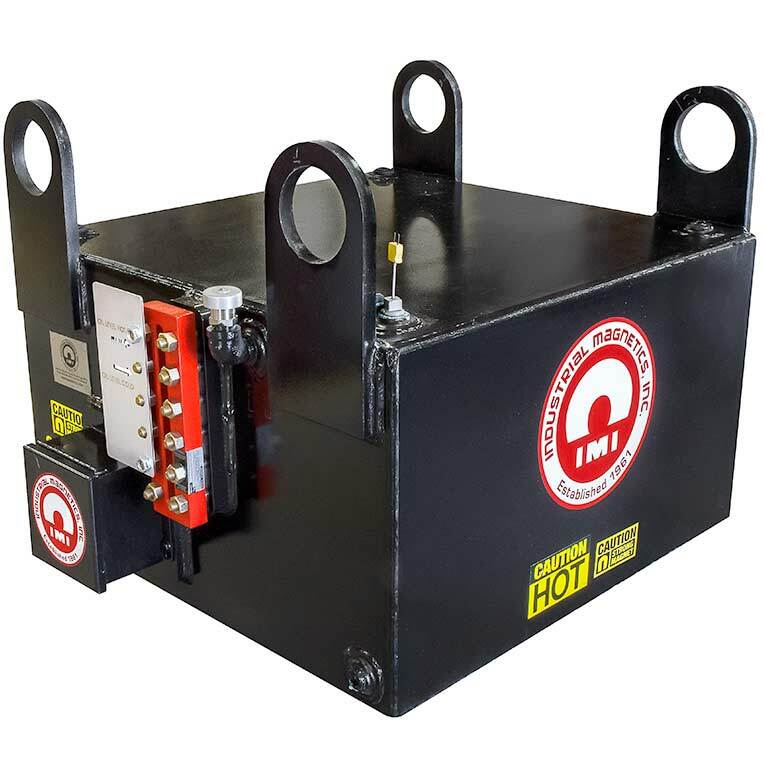 Our powerful and deep-reaching magnetic field is ideal for applications that have a deep product burden or require increased magnet suspension heights. 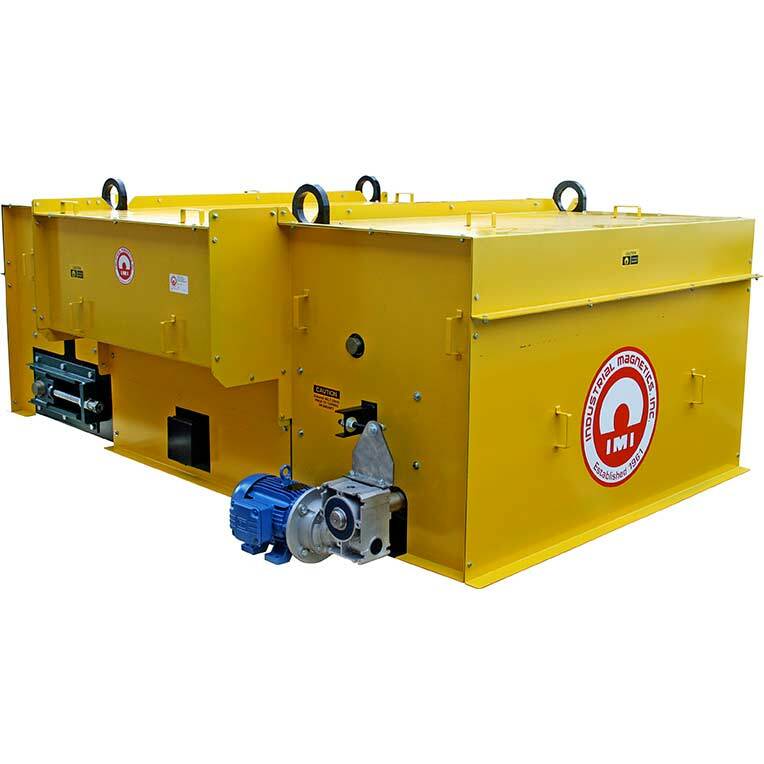 The Self-Cleaning Suspended Electromagnet Separator offers optimum separation capacity by removing collected metal from the magnet face instantly and discharging it out of the product flow. This continuous cleaning function allows the magnetic circuit to maintain maximum magnetic strength at all times. Manual Clean SEMO's are best suited for applications with a lower volume of ferrous metal in the product flow or in applications where the system is only running intermittently. 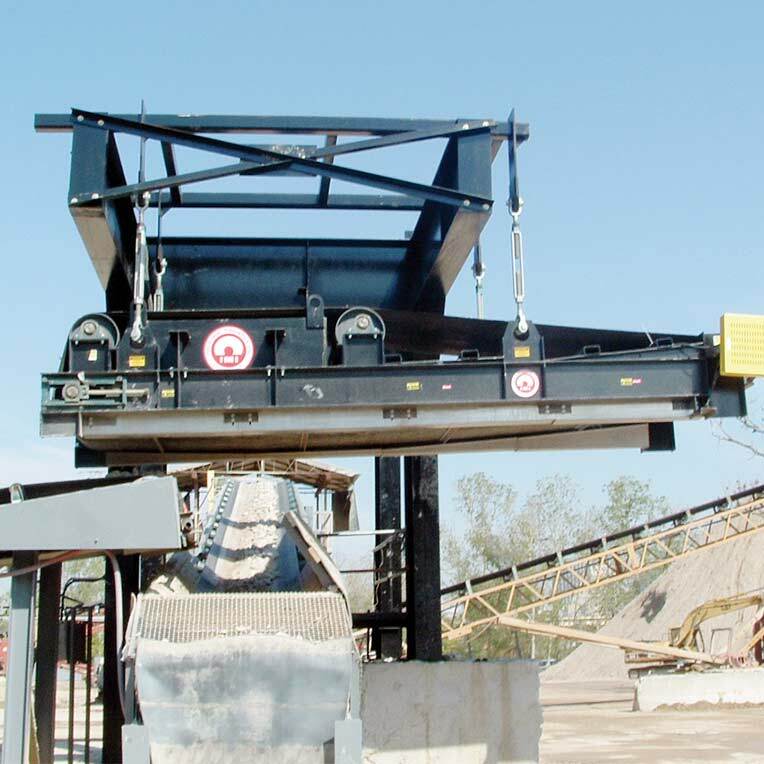 The ability to turn the magnet “OFF” makes removing the collected metal easy for the operator. Contact our Tramp Metal Group at 888.582.0821 to find out more about our 10 Year Warranty / 4 Week Delivery Guarantee on our Suspended Electromagnet Overhead models up to 72 inches. *Shell Diala AX, Exxon Univolt N61B, Texaco 600 or Petro-Canada Luminol Bi transformer oils are the only IMI-approved replacement options. Using non-approved oil will void warranty.